Yum! This was a really delicious pie and one of the easiest things I have ever seen. If you haven’t noticed, cooking to me is a labor of love. I love good food and I love to cook good food. While I know lots of shortcuts, I don’t believe there is one post on this blog that takes a shortcut. It’s not that shortcuts aren’t good, many of them are. I just personally feel everything is better made from scratch with lots of love. It’s why I make my own stocks, butcher much of my own meat, don’t use canned soups, i.e. mushroom soup, in casseroles, etc., and hardly ever use pre-packaged seasoning blends preferring to make my own. I don’t use crockpots, preferring to slow simmer stews and whatnots over the stove in large pots and cauldrons. 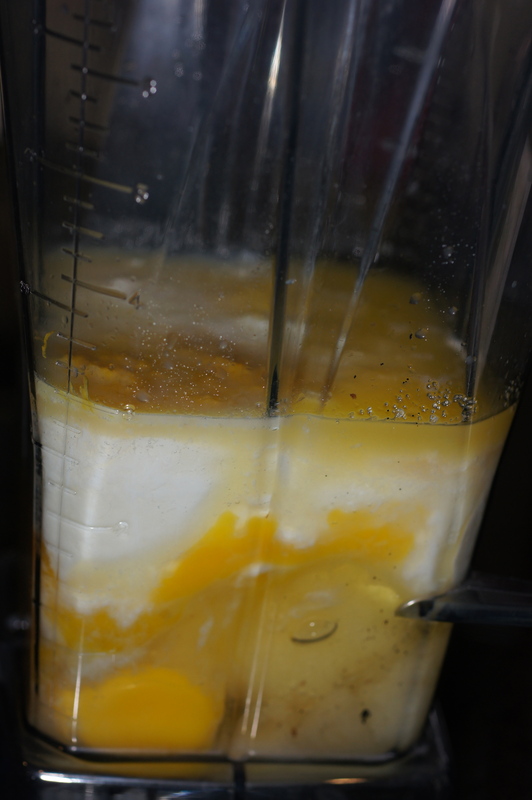 I’ve even been known to make my own mayonnaise when we run out rather than go to the store. It’s just the way I am. I have done this ever since I learned to cook. Part of this comes from cooking professionally and having a commercial kitchen available. Part of it comes from the way I learned, i.e. you made everything from scratch and learned all the techniques and dishes by the rules. Once you knew and understood the rules, you then could successfully break the rules without disastrous results. The corollary of this principle is that once you learn and understand the rules, you generally don’t break them. Generally, I don’t break the rules, not even when feeding a family of six. It’s also probably one of the reasons the children generally don’t cook nor do they want to help in the kitchen when they visit. Baby Lady, on the other hand, is always looking at ways to make tasty food without exhausting herself in the process. She uses a crockpot and turns out some spectacular meals. She has no abhorrence to using cake mixes and likes Bisquick for pancake batter. ALL of her dishes come out very tasty and look very good. This does not mean, however, that she is always taking shortcuts because that simply is not the case. It’s just that she is not opposed to shortcuts, especially if the shortcut is intriguing. 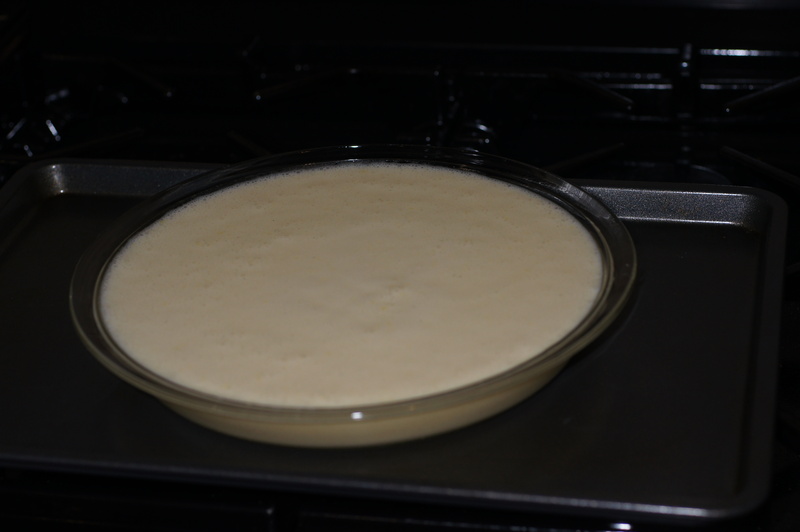 This is one of those intriguing shortcuts that produced a very nice and impossible to fail lemon custard pie. It’s so easy even I can bake this pie and so good that I probably will. If you notice the earth has slipped of its axis a little further, you will know I have started baking and eating my creations. 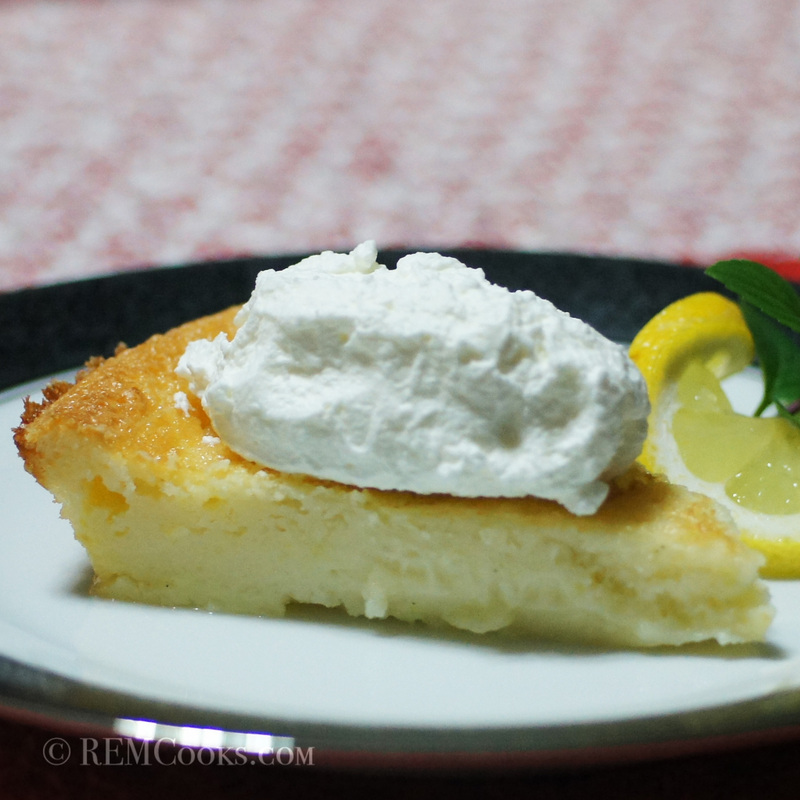 😉 If you want to try your hand at a remarkably flavorful, easy and pretty pie, then you need to make Baby Lady’s Amazingly Easy Lemon Chess Pie. I’m still stunned at how easy it is to make and it forms its own crust, kinda like a sugar cookie crust. Get this. It doesn’t get any easier than this! Add ALL of the ingredients to the carafe of your blender. 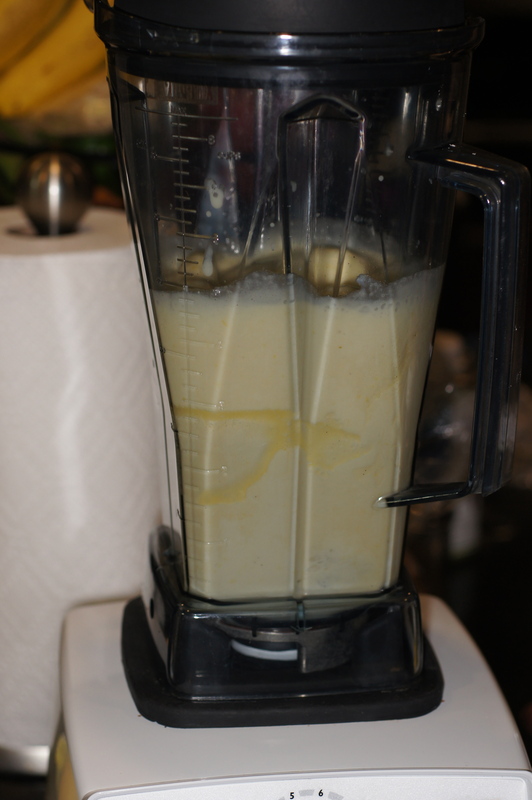 Turn the blender on and blend until smooth. Lightly oil a 9 inch pie plate and pour mixture into pie plate. Place in a 350 F oven and bake for 40 minutes. Remove from oven and allow to cool. That’s it. Nothing more as this pie makes its own crust. Can you get any simpler than this? Not what I expect from you Richard but what the hell. If it’s tasty, it’s worth doing. Perhaps we can all learn from Baby Lady? Actually, Conor, this was a very good pie with next to no effort. The crust was interesting because it was more like a sugar cookie around the edge. 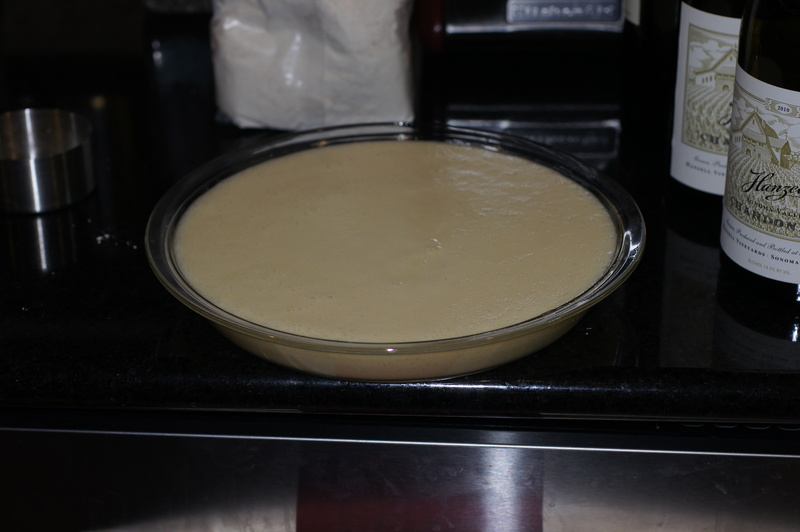 Me, I would have painstakingly made a pie dough, blanched it in the oven, added the custard and then baked it. I would have a huge mess in the kitchen requiring additional clean-up and the two pies would be very good, one more traditional than the other with a whole lot more work. If you’re in a rush, feeding a family who expects dessert with their evening meal, this really is the way to go. The sugar cookie edge just sold me on it! 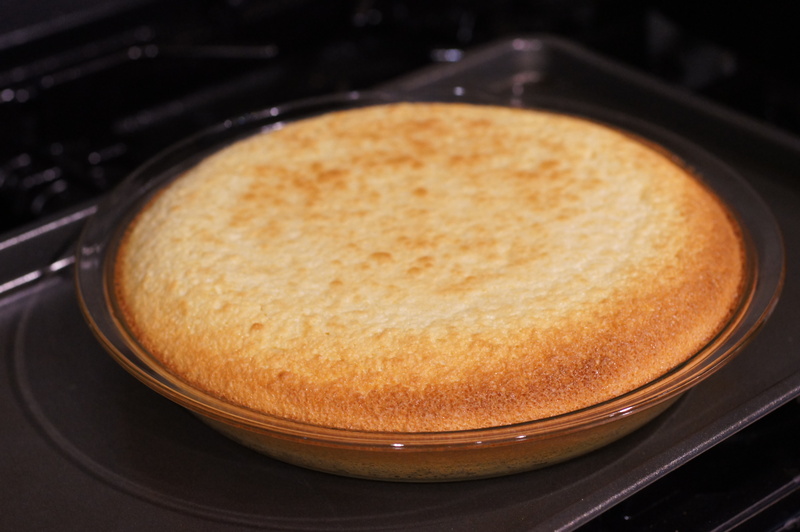 I have heard of chess pie but have never had it. It sounds delicious. I know tis the season for pumpkin or apple or even pecan pies but, give me a slice of “Baby Lady’s” lemon pie and I’ll be more than happy. Maybe it’s because I have it so rarely but it is really a treat. And this one, being a one carafe recipe, couldn’t be easier to make. I’m in! Thanks, John. If you fix it, let us know what you think. My jaw hit the floor when I read through this recipe. That is so simple! And the pie looks amazing. 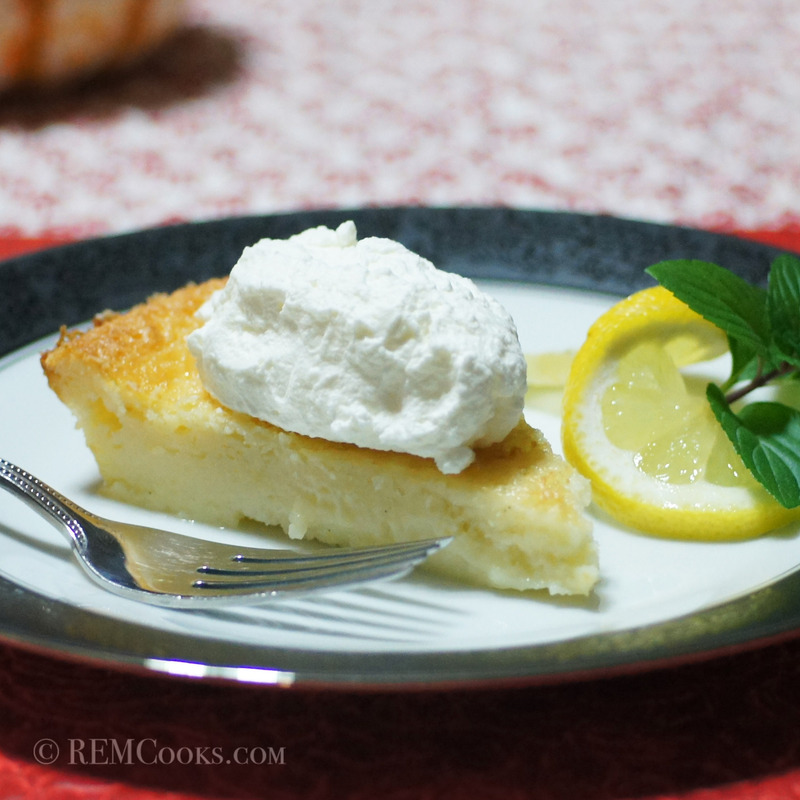 I have never had a lemon chess pie, but I love lemon desserts, so I think we may have to put this on the menu for one of our holiday gatherings. It’s pretty cool and very tasty. I was pleasantly shocked. Like the simplicity if the recipe, but don’t think bisquick is available here. Can I substitute with flour, bakingpowder, ….? Totally agree on cooking as much as possible from scratch and with lots of love! I only break rules when I’m pretty sure the rule is based on incorrect beliefs or doesn’t make a difference that can be detected in a blind tasting. Hi, Stefan. This is one of those intriguing recipes you simply have to try because it is so simple. Bisquick has been around in the US since 1931. According to General Mills, Bisquick was invented in 1930 after one of their top sales executives met an innovative train dining car chef on a business trip. After the sales executive complimented the chef on his deliciously fresh biscuits, the chef shared that he used a pre-mixed biscuit batter he created consisting of lard, flour, baking powder and salt. The chef then stored his pre-mixed biscuit batter on ice in his kitchen ahead of time, enabling him to be able to bake fresh biscuits quickly on the train every day. When the sales executive returned from that business trip, the idea of creating Bisquick was born. Allegedly, 1 cup of Bisquick can be substituted by a mix of 1 cup of flour, 1-1/2 teaspoons of baking powder, 1/2 teaspoon of salt, and 1 tablespoon of oil or melted butter. Thanks for the great story, Richard. I will try it with the substitute. Made it yesterday as dessert for a dinner for my parents, and turned out great! Post to follow. P.S. Is Baby Lady a Justin Bieber fan? I didn’t realize the connection until yesterday. Nope. We didn’t realize he had a song entitled “Baby Lady.” It’s my pet name for her. She’s my Baby and very much a Lady so I refer to her on the blog as the Baby Lady.